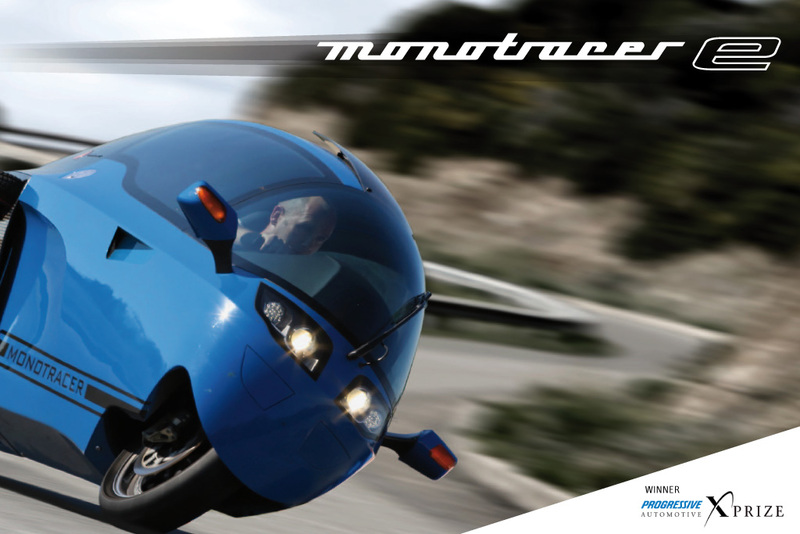 MonoTracer MTE-150 brochure cover page. Here is the recently completed official MonoTracer MTE-150 brochure for the USA. The stylish brochure was elegantly designed by Alain Brideson of Swiss based Design-Werk. Click on each brochure image below to zoom in or download the PDF version. Click here to download a PDF version of the all electric MonoTracer MTE-150 brochure USA edition – (5.6Mb). Front Wheel Setup: Marzocchi 50mm USD fork, Öhlins steering damper and double radial Brembo 4-pot calipers on twin 320mm discs. 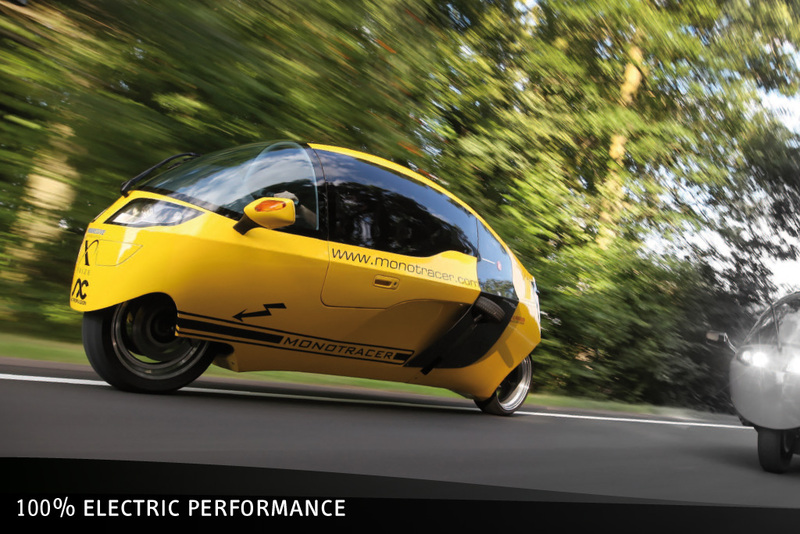 Rear Wheel Setup: ABS brake system combined with electric re-gen braking up to 60kW. Separate rear hydraulic brakes and fully adjustable Öhlins shocks. The MonoTracer-E is also equipped with leather interior, 4.6 cubic ft. luggage compartment, Oxygen iPhone-Radio, ventilation system and heaters. 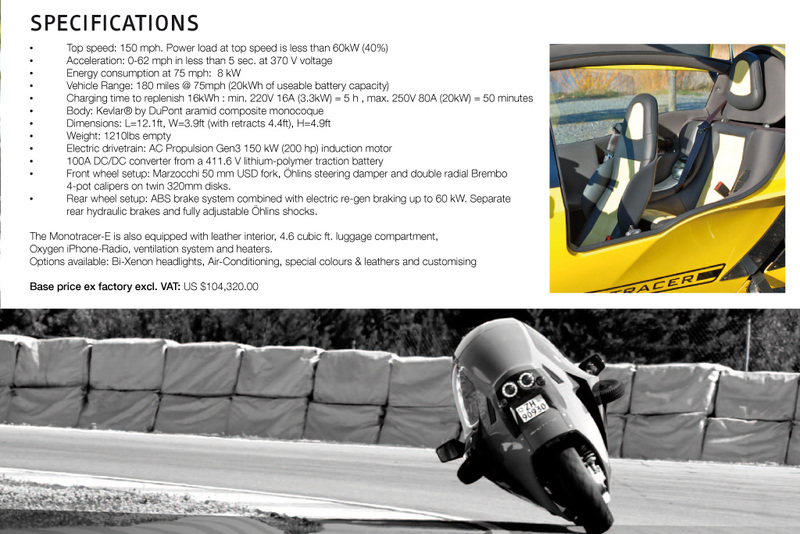 Options available: Bi-Xenon headlights, Air-Conditioning, special colors & leathers, and customizing. 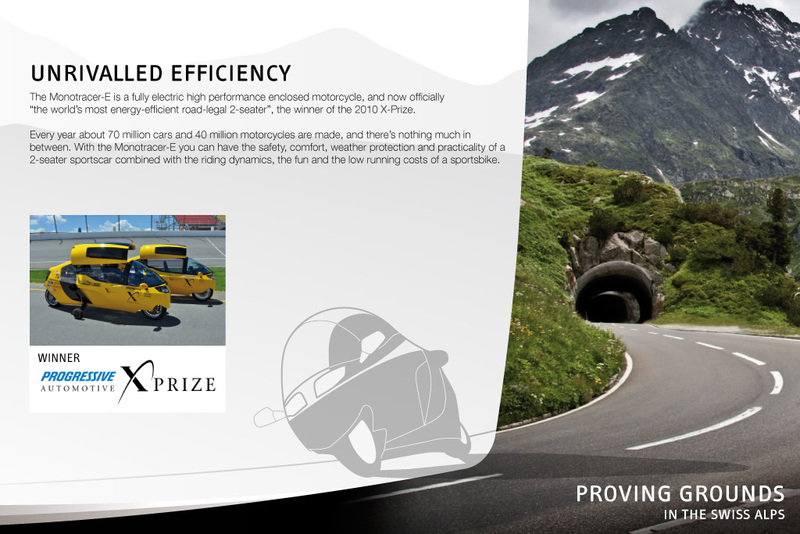 Unrivalled Efficiency – Winner of the 2010 Progressive Automotive X-PRIZE. Proving Grounds in the Swiss Alps. Handcrafted like a Swiss Watch and Proven for 30 Years. Peraves AG is the only company in the world that has dedicated the last 30 years entirely to the fully enclosed safety cabin motorcycle. The company has built 140 customer vehicles which have safely covered 6 million miles in 25 years. 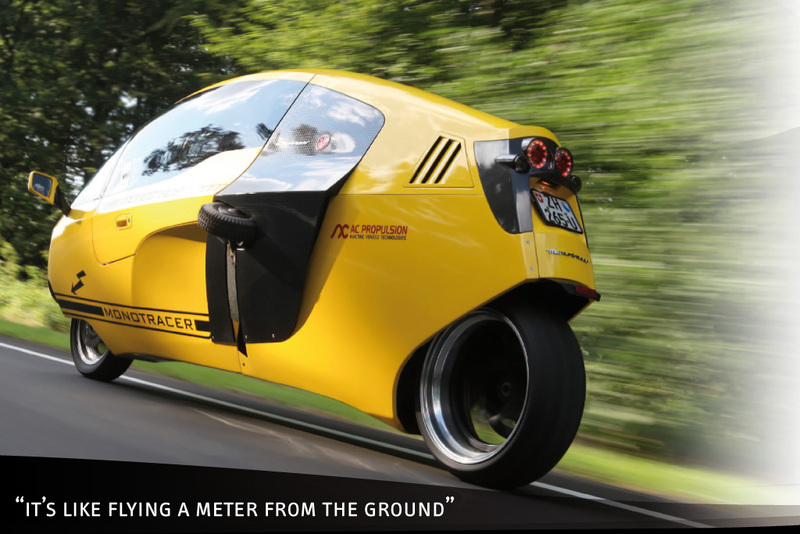 This entry was posted in Peraves and tagged 21st Century Motoring, AC Propulsion, Brochure, Design-Werk, DuPont Kevlar, MonoTracer E, MonoTracer MTE-150, MonoTracer price, MonoTracerUSA, Oxygen Audio, Specifications, X PRIZE. Bookmark the permalink.